Many people in Britain have long looked across the Atlantic in horror at the gigantic animal factories that have spread across the U.S. Now these inhumane, dangerous facilities are threatening the UK. This involves investing £1.3 billion on growth projects over the next three years in order “to improve competitiveness and productivity in primary production, through increased efficiency, upskilling on-farm, farm modernisation and a commitment to working with supply chain partners to improve performance and profitability.” Fundamentally, growth will be driven by sales to Great Britain, the Republic of Ireland, other parts of Europe and the rest of the world. At present, Northern Ireland’s agricultural sectors are already producing more than can be consumed locally and regionally meaning that surplus is often exported. Additionally, imports of varying agricultural products which can be easily produced in Northern Ireland continue. Quite rightly, Friends of the Earth warn that this over-reliance on exports and imports leaves Northern Ireland vulnerable to the vagaries of distant markets. As the Agri-Food Strategy Board plan to intensify agriculture further, this will ultimately result in very complex and extended supply chains leading to familiar problems with food quality and traceability. The Board’s strategic plan to intensify agriculture in Northern Ireland has resulted in recent planning applications for two controversial mega pig factories in Newtownabbey and Limavady. As the Soil Association and World Animal Protection report, these proposals “could herald a new phase in the way British farmers keep animals, opening the floodgates to many similar developments, changing our farming landscape forever”. If approved the factory pig farm at Newtownabbey would be one of the largest in the UK, housing over 30,000 pigs. That’s more pigs than there are people in Ballymena! If granted, the factory poses a number of serious threats. The overcrowded, stressful and unhealthy conditions in which the pigs will be kept means that they are likely to require routine antibiotics.This irresponsible over-use of antibiotics, to prop up a defective, inhumane system, adds to the increase in antibiotic-resistant diseases which can pass from pigs to humans. Although the anaerobic digester on site would destroy some antibiotic resistant bacteria, research suggests that it will fail to remove other bacterial pathogens. It is possible that antibiotic bacteria including E. coli, salmonella, campylobacter and the pig strain of MRSA may spread from workers on the farm itself via flies, lorries and any open tanks and lagoons – to neighbouring residents. Alarmingly, there are two residential properties within 100 metres of the site boundary. Additionally, in its Consultation Response, the Rivers Agency noted that “potential flooding issues have not been dealt with” and the Department of Environment have also expressed their concerns regarding the factories impact upon ammonia sensitive habitats including a nearby South Woodburn Reservoir, North Woodburn Reservoir and North Woodburn Glen, as well as the protected species present on site. And the concerns regarding environmental issues in relation to the proposed pig factory are not unfounded. In June 2012, Derek Hall of Hall’s Pig Farm was fined £500 at Belfast Magistrates Court “for making a polluting discharge to a waterway and…for contravention of a Pollution Prevention and Control permit condition”. Only recently, Mr Hall revealed that he intends to reduce the number of pigs from the original estimate of 30,000. Yet one would agree with FOE that “merely scaling down the proposal from a mega factory to a giant factory does not disguise the fundamental problems associated with this type of farming project”. 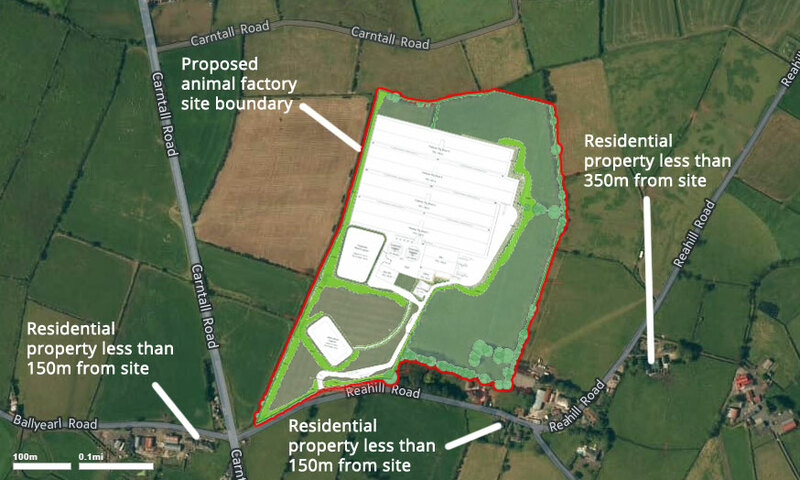 Shortly after Hall’s Pig Farm submitted their planning application, a second application was submitted for a 20,000+ pig factory in Limavady, Northern Ireland. Similar to the proposed application in Newtownabbey, the factory again poses is a serious threat to human health. It is anticipated that the factory will produce up to 20,000 tonnes of slurry every year, likely to be landspread onto third party land. Consequently, the risks to human health from pathogens and MRSA will be much greater whilst the slurry is likely to pose a serious threat to a number of sensitive sites including the River Roe, Bovevagh Area of Special Scientific Interest and Lough Foyle Special Protection Area. More so, the Environmental Statement makes no mention of pig welfare. The sheer scale of the factory will make it impossible to monitor the wellbeing of individual animals, thus extending animals’ suffering and allowing disease to spread rapidly to farm workers and the local community. These pigs would be totally enclosed, living their entire, miserable lives confined to concrete, barren crates. It is reasonable to assume that small-scale farmers will be threatened with extinction, that the huge quantities of pork produced in Newtownabbey and Limavady will simply take the place of pork produced by existing, ethical farmers. 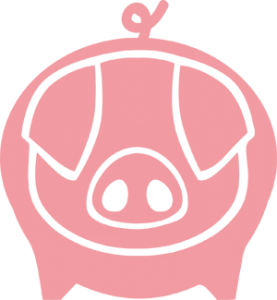 Based on government figures, up to 350 of the smallest pig farms could lose all their sales if the pork from the proposed factories hit the market. In recent years, the major UK multiples (Tesco, Safeway, Sainsbury’s, Iceland, CWS and Marks & Spencers) have gained a significant market share in Northern Ireland, controlling over 65% of grocery sales. If the agri-food business is to intensify further, these retail giants will continue to abuse their enormous buying power, denying farmers a fair price for their produce. As Friends of the Earth state, “an alternative vision is urgently needed for the future of food and farming in Northern Ireland – one that still embraces progressive and competitive agriculture, whilst also helping to protect rural livelihoods and communities, contributing to urban and rural health and ultimately reconnecting consumers as citizens to the countryside and their food.” This can easily be achieved. In order to release farmers from the tyranny of supermarkets, why not sell produce direct to the consumer via farmers’ markets, box schemes and farm shops? That way, the farmer is able to explain how and where their products were produced. Northern Ireland is home to some excellent farmers who can act as great champions for local, sustainable food. Take Woodside Farm and Inagh Free Range Farm for example, each at the forefront of environmentally friendly, sustainable, high welfare agriculture. As headlines in recent years have been dominated by food scare stories including the horse-meat scandal, GMOs and MRSA, clearly there is something wrong with the way our food is produced. Fortunately it is easy to take effective action. 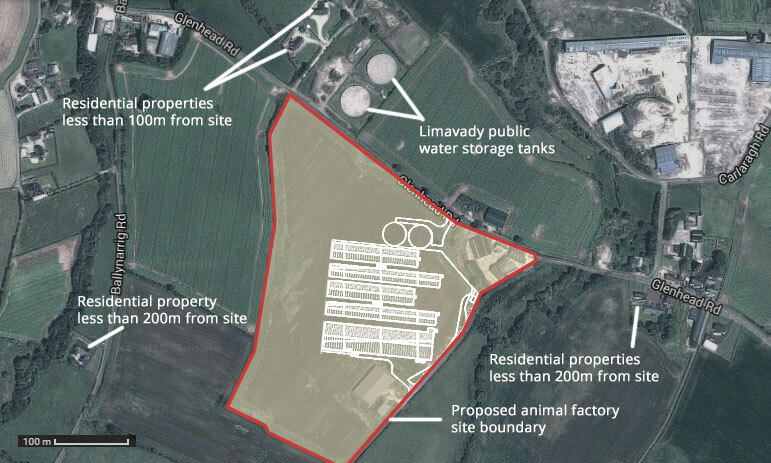 Object to the introduction of huge animal factories into Britain including the Newtownabbey and Limavady planning proposals by visiting our website here. Better still, avoid meat from pig factories and sign the Pig Pledge to buy pork from real farms or go meat-free. 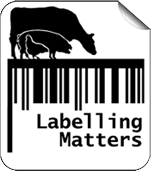 If you eat pork, look for high animal welfare labels like Organic, Free Range, Outdoor Bred and RSPCA Assured. Together, we can make a difference.